Prescription diet pills come in a couple of varieties, and are one of the most popular ways to lose weight today. You will often read about stories of miracle weight loss with the aid of prescription diet medication, and perhaps you have even had a friend or family member who these drugs worked for. There are certainly some advantages to choosing this as your path for weight loss, but be aware that it is not the “magic pill” that some people might have you believe. Here are some of the facts and fiction about prescription diet aids. What Exactly Are Prescription Weight Loss Pills? Prescription diet pills are a type of medication that is designed exclusively with weight loss in mind. These medications either decrease your appetite so that rapid weight loss can be affected, or they change the way that fat is absorbed into, and eliminated from, your body. These drugs are meant to be taken for a couple of months and are not designed to be a lifetime solution for weight maintenance. These pills work differently, according to the type you use. There are essentially two varieties of prescription diet pills. The most popular type of pill today is Phentermine, also known as Fastin, Ionamin, and Adipex-P in its name brand forms. This drug works by affecting the neurotransmitters in the brain. Essentially, the drug intercepts the hunger signals that your stomach tries to send to your brain, and hunger pangs will be greatly reduced or even eliminated. The other type of pill that has been commonly used in recent years is Xenical, also known as Orlistat. This drug works in an entirely different way, as its primary aim is to stop fat from being absorbed into your gastrointestinal tract. As much as 30% of all fat consumed can be passed through your body without ever being digested and absorbed. Are These Pills Better Than Non-Prescription Pills? For some people these are better than non-prescription pills. For those people who are significantly overweight and have had trouble losing weight with the use of a solid diet and exercise plan this is often the best choice. Prescription diet pills are certainly stronger than their non-prescription counterparts, but they can also carry increased risks. Before starting on any prescription diet pill, your doctor will often advise you to try to lose the weight without medication prior to trying this. 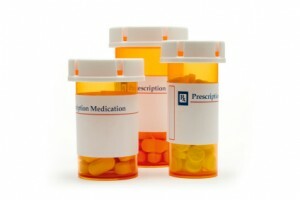 Who Can Obtain Prescription Dieting Pills? Diet pills such as Phentermine and Meridia are typically only prescribed to people who have a Body Mass Index of 30 or greater. In some cases there may be additional risk factors associated with obesity present, and in such cases prescription diet pills can be given to patients with a BMI of 27 or more. To take this type of medication, your doctor will typically run tests to make sure that you do not have any medical problems that would preclude the use of a medication like this. Patients who suffer from heart problems such as primary pulmonary hypertension, cardiac valvular disease, or high blood pressure will often be excluded from taking prescription diet aids because these drugs can potentially cause or aggravate heart problems. Will These Medications Work For Me? In most cases, prescription diet pills are very successful in bringing about weight loss in patients. However, the patient has to be committed to eating properly, exercising regularly, and focusing on learning good habits that can be maintained after the course of diet pills is over. Since these are drugs meant only for short term use, they are best used as a jump-start for a diet program, rather than as the only component of a diet plan. Want to drop the weight, there’s purely 1 method so that you can complete that in my own opinion – HULA HOOPING. Scientific study is currently getting taken out in the Usa in order to confirm that frequent hooping increases core strength, flexibility, posture, cardio conditioning and strengthens back muscles. In addition to these wonderful results, it is definitely enjoyable to do as well as a excellent stress reducer! In other thoughts, hooping is a whole body and mind work out, absolutely no wonder it appears in the list of leading ten approaches to get healthy! Jogging, cycling and conventional exercising machines such as treadmills and stair-climbers load the body in one, constant direction. The body soon will get used to the challenge, moves into auto pilot and uses less energy and fewer muscles, eventually minimizing the usefulness of the training. Hooping, nevertheless, is actually unpredictable, irregularly loading the entire body and making it continually adjust and create the entire body shift in different directions. Consequently every hooping program is a fresh, challenging workout.